The alopecia, or premature hair loss, not only affects the head, because can also the eyebrows and eyelashes fall down, a problem not only aesthetic, since it can reveal a health disorder. What are the causes and remedies to prevent eyelashes falling out? Interestingly we usually do not pay the due attention to the health of the eyelashes, which play an essential role. 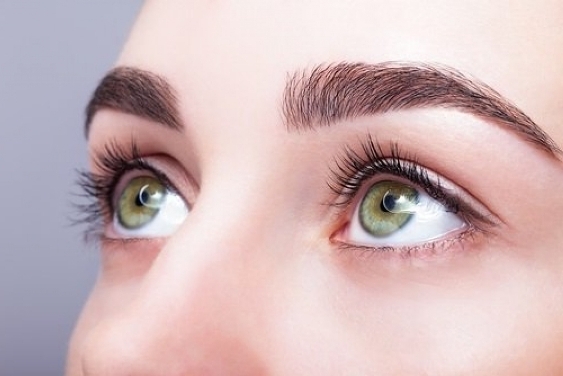 As we will see, there are some bad habits that weaken the eyelashes, protective eye health. Certain factors may cause it to break, among them the deficit of some basic nutrients to the body. The stress and hormonal changes also be behind its fall. To avoid this type of alopecia we can implement some simple tips. The causes related to the eyelashes falling out are multiple. We are going to see, more thoroughly, what are the most common. Makeup: Excessive loss of eyelashes may be related to the habit of eye makeup every day. Of entry, always choose quality cosmetics and correctly use makeup tools not to lose the eyelashes. It is also advisable to completely remove makeup before going to bed. In some cases it may also result from an allergic reaction to cosmetics, and in this case change the type of product. Hormonal changes: In some periods, such as the menstrual cycle and menopause, eyelashes tend to fall more easily due to hormonal changes. Nutrient deficiencies: For a strong eyelashes is also important to check the diet. In this case, a diet rich in vitamin A (carrots, green leafy vegetables, milk), vitamin B (pork liver, eggs), vitamin E (vegetable oils, broccoli, spinach, almonds, walnuts) and omega 3 (anchovies, salmon, seafood). Stress: As with the fall of the hair, often eyelashes falling out is caused by stress. The frenetic rhythms can affect to the health of the body, causing a lot of damage, including causing this type of alopecia. Reduce makeup: If the problem is caused by excessive makeup or use poor quality cosmetics, try to avoid makeup every day or at least for a certain period of time. It is also important to remove makeup every night. Wash your face: A good facial cleansing to ensure hygiene is essential. Sometimes the eyelashes falling out is caused by bacteria that live in the area of the eyelids. Use the eyelash curler gently: Failure to properly use the eyelash curler, could damage the eyelashes, especially if these are already weak. Avoid touching your face often: The hands can be a vehicle for transmitting bacteria. For this reason, avoid touching the face continuously if you have not washed hands before and even scratch or pressure to remove pimples, as the bacteria deposited on the hands can come into contact with the eyes and eyelids.